You are owning the hottest news and interesting blogs. You would like to share with everyone. BlogPlaza is the best choice for you. 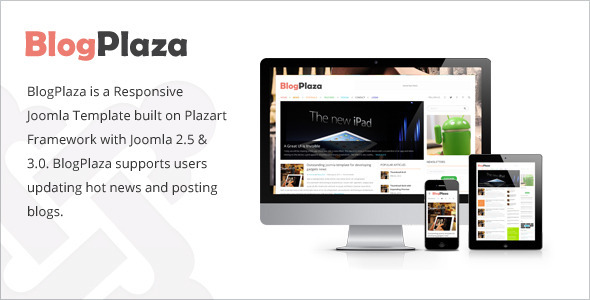 BlogPlaza is a Responsive Joomla Template built on Plazart Framework with Joomla 2.5 and Joomla 3.x. 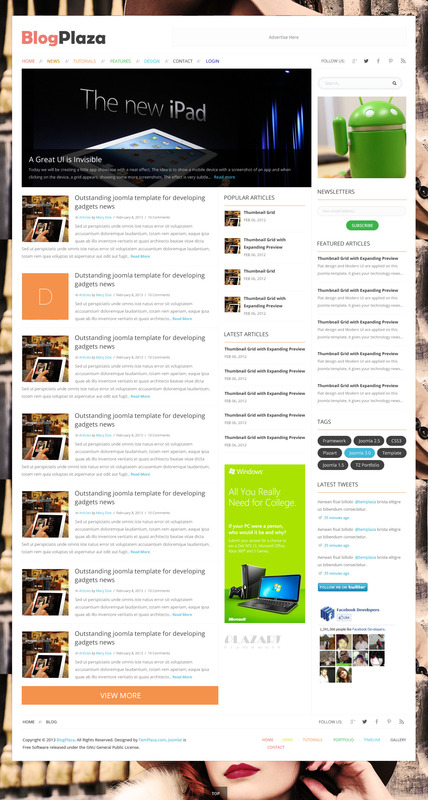 BlogPlaza supports users updating hot news and posting blogs. We are proud of having developed a Responsive Joomla Template which can support for HTML and CSS3 very well. 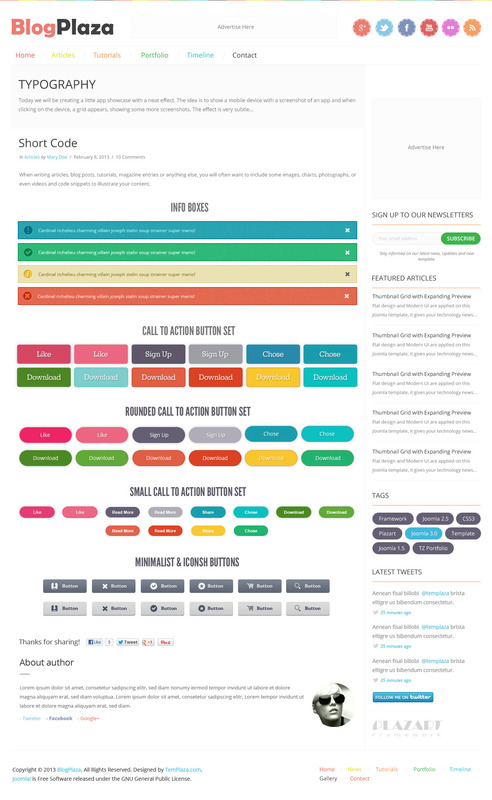 Your template will fit automatically with the screen size of the device that you use. 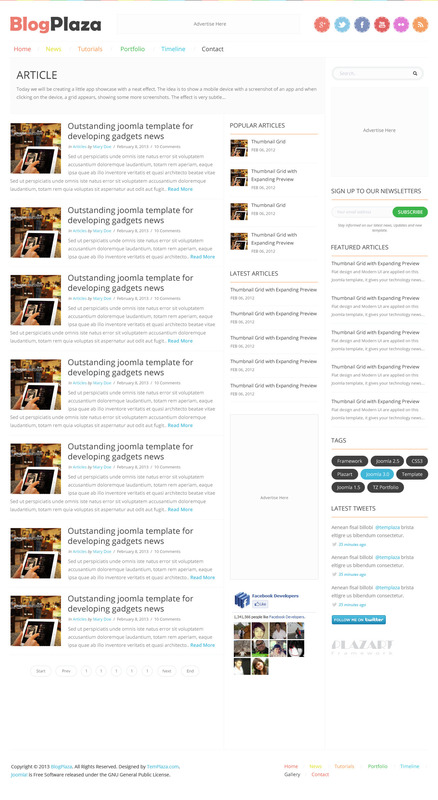 BlogPlaza has “option” helping you change font and color easily. Join us to get new experiences right now! BlogPlaza is also an ideal place for everyone to share emotions in each blog and hot news in each article. 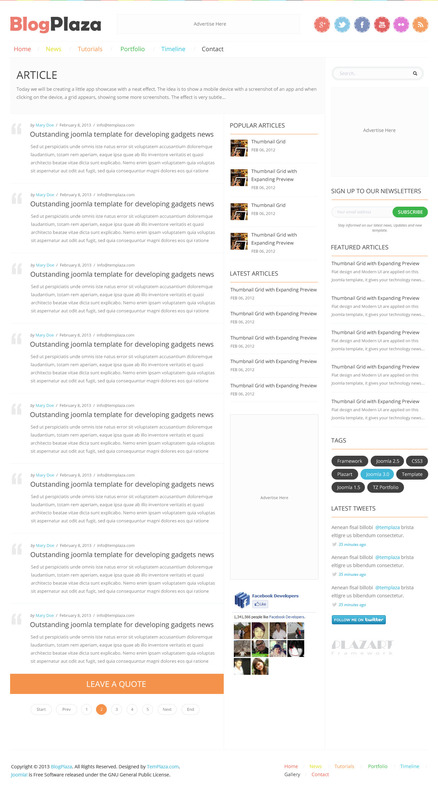 BlogPlaza is a Responsive Joomla Template. It supports Bootstrap, your template will adapt automatically to the screen size of the device and display all the content in an intuitive and simple way. BlogPlaza supports Rich snippets. Google can identify it and, when users search for apps, use this information to better display your app details in search results. Joomla 2.5 and Joomla 3.x support. 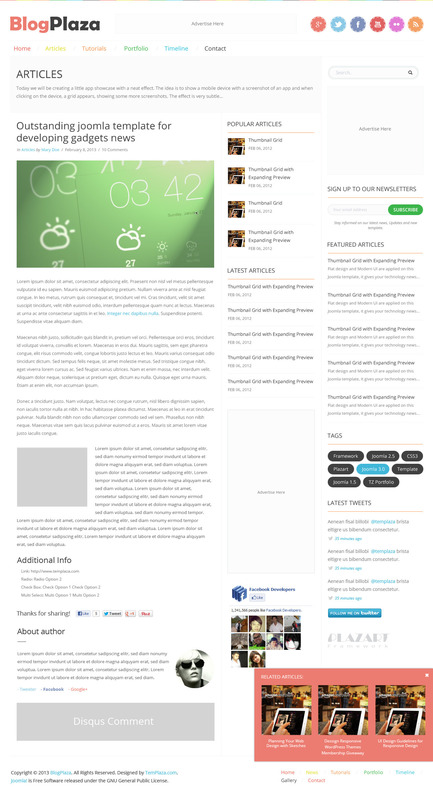 Changing menu color in BlogPlaza. Easy to change pattern on top. Having “options” to change module background and content website color. 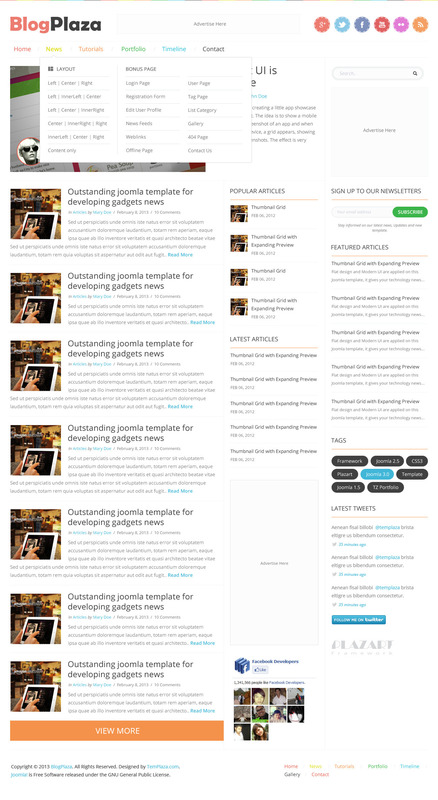 Having page width and sidebar configure, right to left layout support. Changing website background such as; color, image, pattern easily. With Navigation, you can use Megamenu with some useful characteristics. For example; creating sub-menu and group, inserting module and menu. Supporting Google Analytics and Author link. Update Joomla latest version 3.4.3. Update Plazart latest version 4.5. Fixed Logo doesn't work when you click on the logo from the detail article page on Mobile. 1. Update Joomla latest version 3.4.1. 2. Update TZ Portfolio 3.3.1. 3. Update Plazart latest version 4.3. 1. 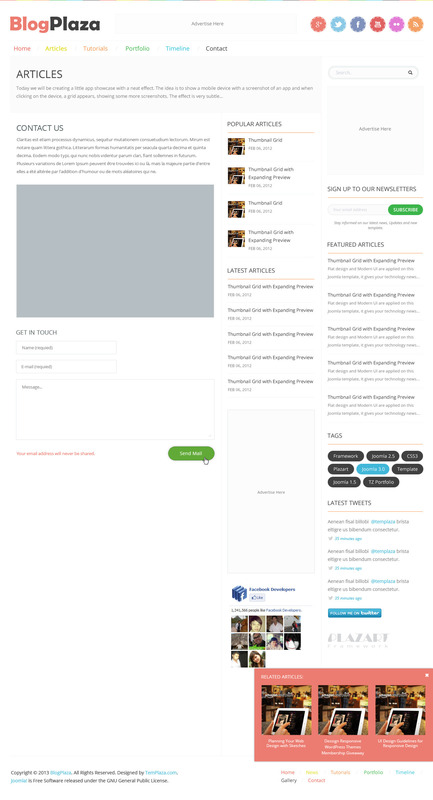 Update Joomla latest version 3.3.6. 2. Update TZ Portfolio 3.2.9. 3. Update Plazart latest version 3.8. 4. Fixed Search module in right sidebar. 5. Fixed Scroll to top button. 6. Fixed Right to Left style.